The fishing gear on the L&H is top quality, only the best for us. From the smallest item of terminal tackle to a giant 130 pound rod and reel we use for swordfish and giant tuna, our team takes great pride in the gear we use! With over fifty rods and reels on the boat ranging from 2lb to 130lb you can rest assured we will be ready for any situation that arises. All of the rods on the L&H are custom made by Leeward Rod Company! These are the best rods available and are hand crafted using the latest technology. We are proud to use fin-nor reels and they have been very good and reliable the past few seasons. 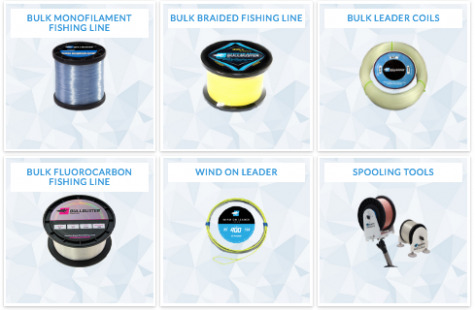 Ranging from the smallest spinning reel to the largest conventional, these reels are built and perform well. The line on the reel is the only thing connecting you and the fish and it is for that very reason that the L&H uses Bullbuster Fishing Lines exclusively!!! Whether it is braid, fluoro or premium mono, it is the only fishing line we use and are confident that it will hold up in the fight of your life! Our gaffs and tag sticks are all made by Aftco! From the smallest straight gaff, to the largest flying gaff, when that trophy is boatside, you can count on an aftco gaff to finish the job! We use mustad and owner hooks and top quality spro, and American Fishing terminal tackle. The crew is ahead of the curve when it comes to dredge fishing and we are constantly updating and changing our dredges and teasers to keep up with the times. Friends from all over the world work with us to keep us in the know about new products coming out from vertical jigs to trolling lures! We even have a few “secret lures” from Hawaii that will often trigger a strike when nothing else will! On the L&H we take pride in our fishing gear from all ends of the spectrum! One can rest assure, when fishing on Miami’s Best Charter Boat, the gear you are using will be top quality and help you land that fish of a lifetime! Miami Summer Fishing - There are plenty of fish to be caught during miami summer months. Lots of Mahi are around, little wahoos, snapper and more!